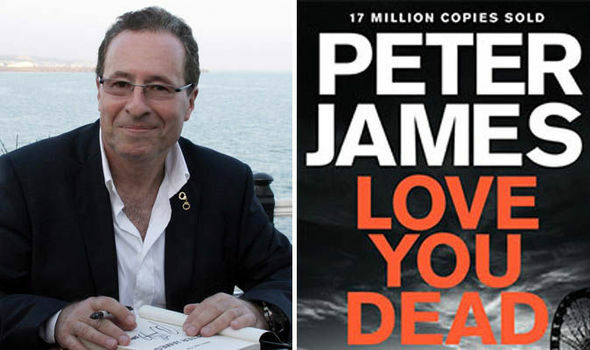 We are delighted to announce that Peter James is back in Steyning to introduce the 12th novel in his addictive Roy Grace series – ‘Love You Dead’. Peter James is a one of the nation’s most treasured thriller writers – recently voted ‘The Best Crime Author of All Time’ by WH Smith readers. The Roy Grace series of novels have sold more than 17 million copies and been translated into over 36 languages, bringing the seamy underbelly of Brighton alive to a worldwide audience! Peter is always a very entertaining speaker, having a wealth of fascinating stories that he has picked up while researching with the Sussex Police, so we can promise an evening of thrills, spills, and the occasional raised eyebrow! Ticket price includes a hot-off-the-press hardback copy of ‘Love You Dead’, which Peter will, as always, be happy to sign for you after his talk. 7.30 -10 pm Tuesday 24th May. or from The Steyning Bookshop, festival box office.